Step into the arena with the characters from Marvel's Thor Ragnarok! 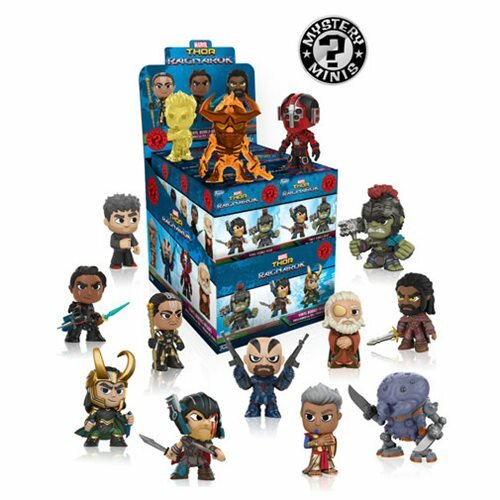 This wave of mini-figures includes comic book legends like Thor, Hulk, Loki, Valkyrie, Odin, and more as seen in the block buster film. Each stylized vinyl figure measures 2 1/2-inches tall and comes packaged in blind boxes. Collect them all! Ages 3 and up. The Thor Ragnarok Mystery Minis Random 4-Pack includes a total of 4 individually packaged mini-figures.